Order number of 2 jars. 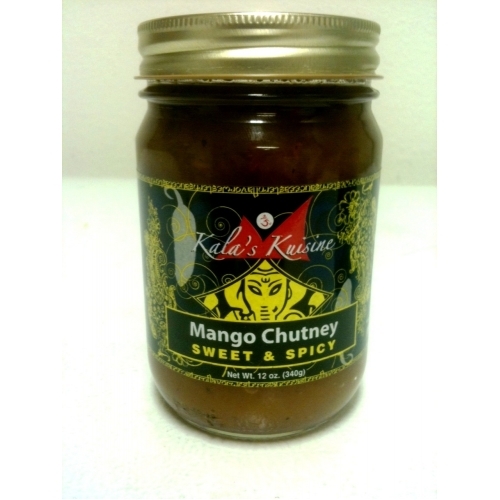 Mango Chutney is a sweet treat that can be served as sauce, spread, dip, salsa or marinade. It goes great on top of cheese and crackers. Use it to spice up your ham sandwich or to enhance your simple salad dressings. 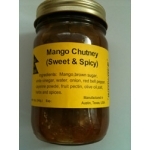 It's also great for creating glazes for meats such as pork or shrimp. Second place winner 2010 in Austin hot sauce contest. Third place in 2009 austin hot sauce contest for both people choice and judges choice. Ingredients: Mangoes, brown sugar, vinegar, onions, red bell peppers, water, fruit pectin, olive oil, sea salt, herbs & spices. This is the best seller of all the Salsas, Sauces and Chutnies.